The Palace of Holyrood House is the Royal residence in Edinburgh. When the Queen visits Edinburgh each year for her Royal Garden Party, it is here that she stays. 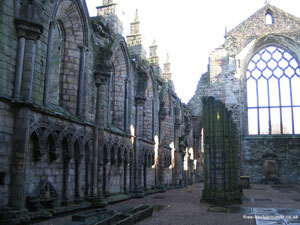 The abbey on the same site is now ruined but you can still get an idea of how impressive the building must have been.